Vitamins & MineralsScitec Mega Daily One PLUS - 60 kaps. Trec Multi Pack - 240 kaps. 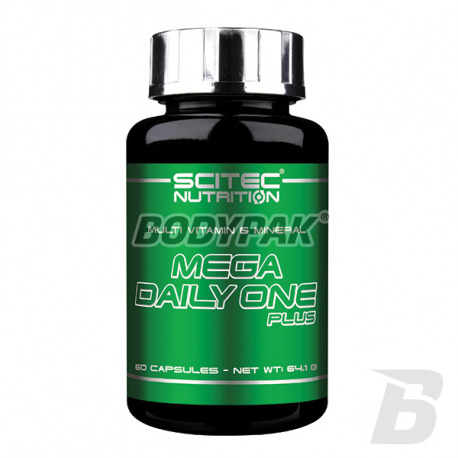 Scitec Mega Daily One PLUS - 60 kaps. Currently, the best vitamins on the market, taking into account the ratio of price / quality / quantity. Packaging lasts up to 30 days supplementation of high quality vitamins and minerals! The high digestibility of every serving! 28 loyalty points Your cart will total 28 points that can be converted into a voucher of 1,12 PLN. 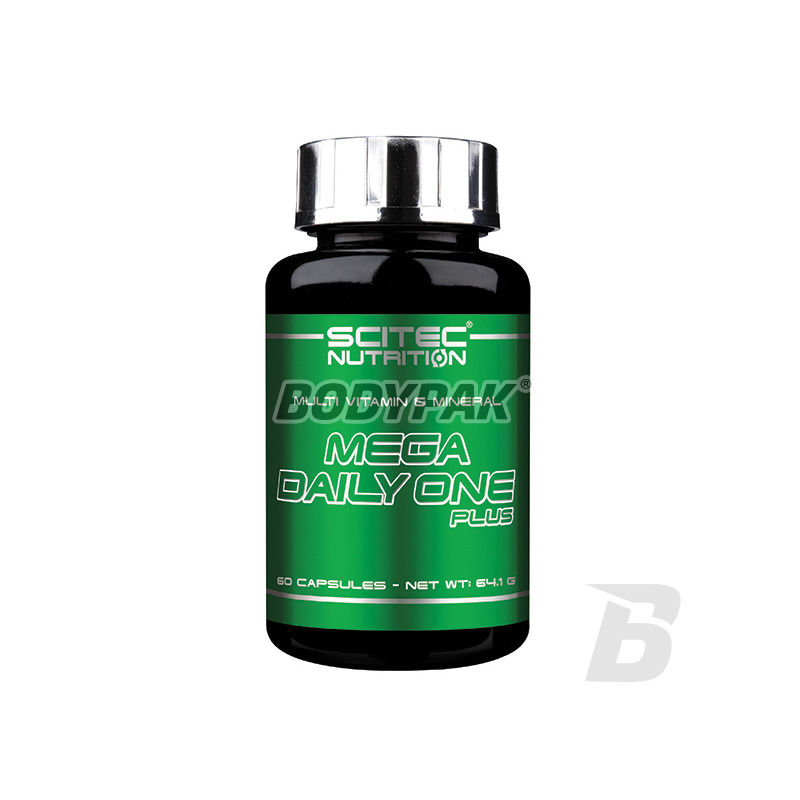 Scitec Mega Daily One PLUS - 120 kaps. Mega Daily One Plus contains not only the full spectrum of vitamins as well as minerals, without which the proper functioning of the body would not be possible. The product has been designed for professional sportocach who have to apply uncompromising products. Professional athletes are aware that only the right combination of vitamins and minerals for optimal supply of nutrients is able to keep them in perfect form of mental and physical. Mega Daily One Plus is an advanced formula multivitamin with a set of minerals! It contains a high dose of Vitamin B complex and vitamin C, and minerals including magnesium, selenium and zinc. Vitamin C contributes to the proper functioning of the immune system and the nervous system and reduces fatigue and weariness. It also helps in maintaining the proper functioning of the immune system during and after intense exercise (this effect is observed in the provision of an additional 200 mg of Vitamin C than the recommended daily intake)! Vitamin B2 helps to maintain normal vision and normal red blood cells. Folic acid contributes to normal synthesis of amino acids. Mega Daily One Plus has 250% of the recommended daily intake of Vitamin D3! Vitamin D3 contributes to the proper functioning of the immune system and muscles. Zinc contributes to the maintenance of normal testosterone levels in the blood, normal fertility and reproductive performance, and also to the normal metabolism of macronutrients (macronutrients). Magnesium contributes to proper functioning of the nervous system: neurotransmission and muscle contraction in the heart muscle, also for normal protein synthesis, as well as to maintain the proper condition of bones and teeth. Selenium helps to normal spermatogenesis, including thyroid function and to maintain the normal condition of the hair and nails. 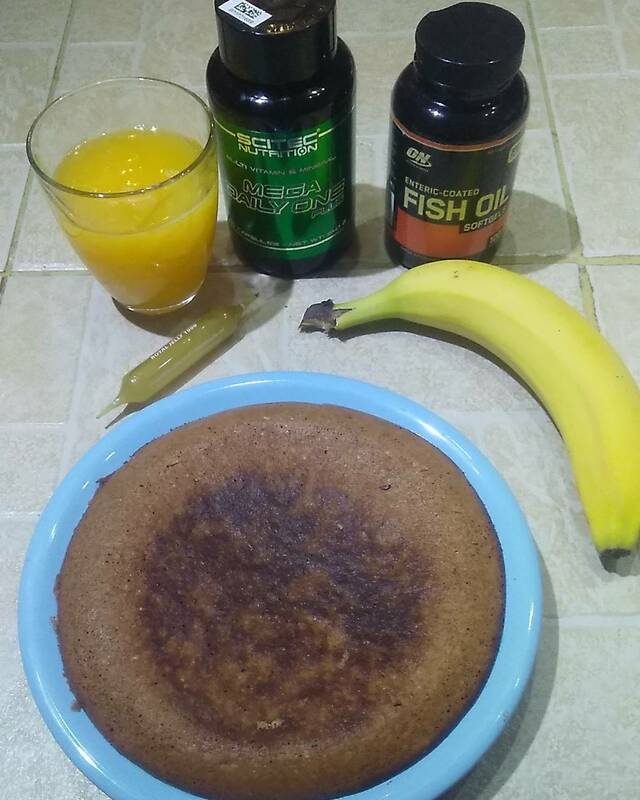 MEGA DAILY ONE PLUS - REAL VITAMINS FOR ATHLETE! The product can not be used as a substitute (replacement) of a varied diet. For adults take 1 capsule twice a day with osiłkami. Składniki: Węglan wapnia, Octan DL-alfa-tokoferylu, żelatyna wołowa, Kwas L-askorbinowy, Tlenek magnezu, D-pantotenian wapnia, Amid kwasu nikotynowego, Ryboflawina, Monoazotan tiaminy, Woda, Fumaran żelaza (II), Chlorowodorek pirydoksyny, Rutyna (86%) wyekstrahowana z kwiatów Perełkowca japońskiego [Sophora japonica L.], Siarczan cynku, Wodorowinian choliny, substancja przeciwzbrylająca (Sole magnezowe kwasów tłuszczowych), Octan retinylu, D-biotyna, Siarczan manganu, Hesperydyna (93%) wyekstrahowana z ekstraktu z owoców Pomarańczy gorzkiej [Citrus aurantium L. Subsp. amara], Selenin (VI) sodu, Inozytol, Cyjanokobalamina, barwnik (Dwutlenek tytanu, Czarny tlenek żelaza, Indygotyna), Cholekalcyferol, Siarczan miedzi (II), Kwas pteroilomonoglutaminowy, Jodek potasu, Molibdenian (VI) sodu, substancja glazurująca (Szelak). Tego mi było trzeba - uzupełnić witaminy i minerały i człowiek od razu ma więcej energii i chęci do życia ! Swanson Ultra C Formula - 250 kaps. A comprehensive formula that will boost your immune system, improve your mood and reduce harmful free radical activity! Each serving is a solid dose of vitamin C and valuable supplements such as Acerola, citrus bioflavanoids, hesperidin and wild rose. Put on proven solutions! Excellent preparation delivering highly absorbable vitamin K3 and D3. They have a broad impact on overall health, but their most important function is to increase absorption of calcium and phosphorus from food. Enable efficient mineralization bones and teeth, therefore, they have a huge impact on their condition. Solgar Advanced Calcium Complex - 120 tabl. Swanson High Potency Natural Vitamin K2 100mcg - 30 kaps. NOW Foods Full Spectrum Minerals Caps - 240 kaps. NOW® Full Spectrum Mineral Caps is a comprehensive combination of the most important dietary minerals used by the body.